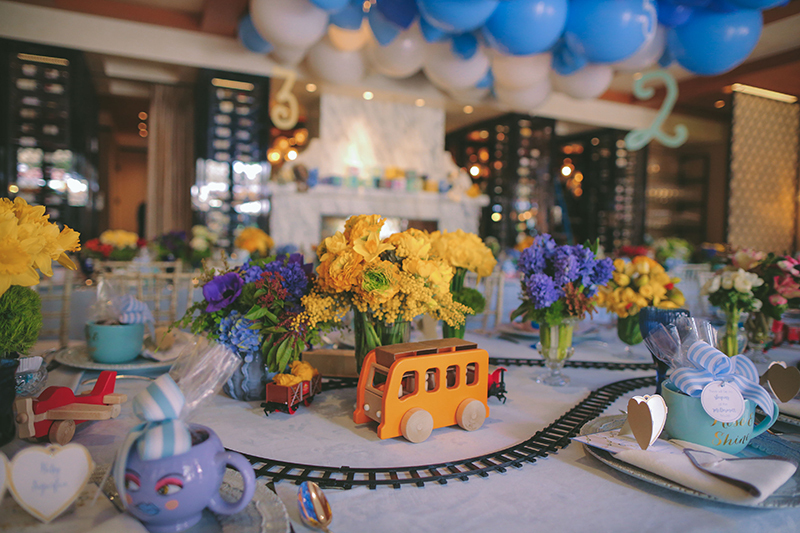 Today’s party we produced is a sweet baby shower at Hotel Bel Air. 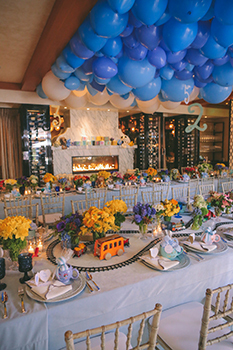 We had the pleasure of planning this celebration for a very special mom and her growing family. 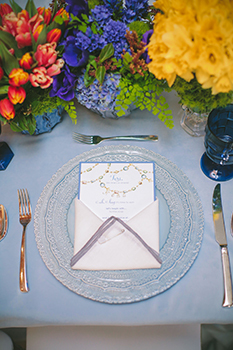 This was truly a family affair with the older brothers and sisters in attendance too. 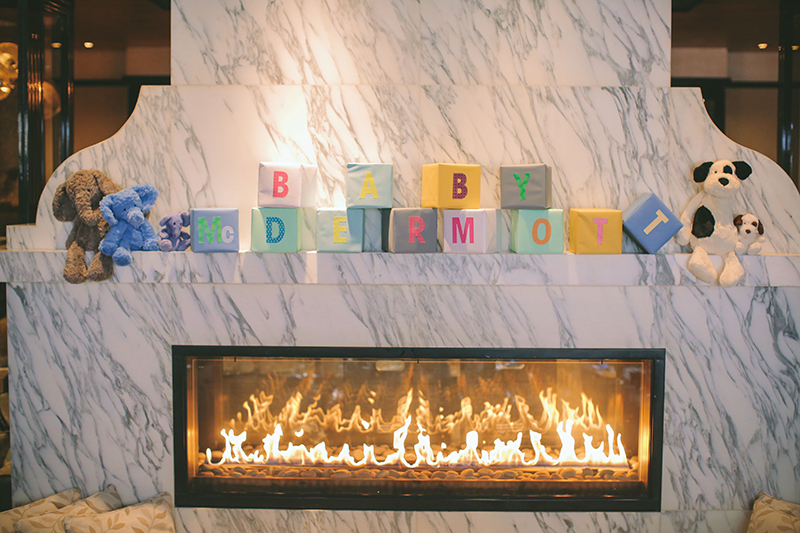 The shower took place in a private room anchored by a big, beautiful marble fireplace. 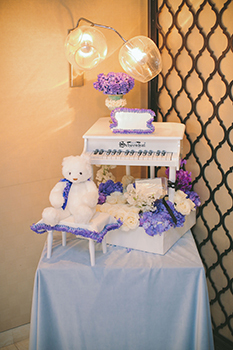 Then we decked out the space with toy blocks, stuffed animals and other gifts for the family to take home. 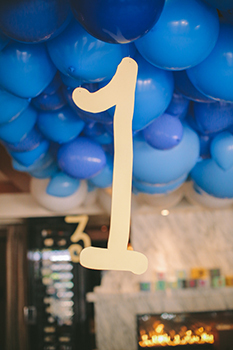 We filled the ceiling with blue balloons and dropped table numbers from above the long tables to show guests where to sit for the celebratory meal. 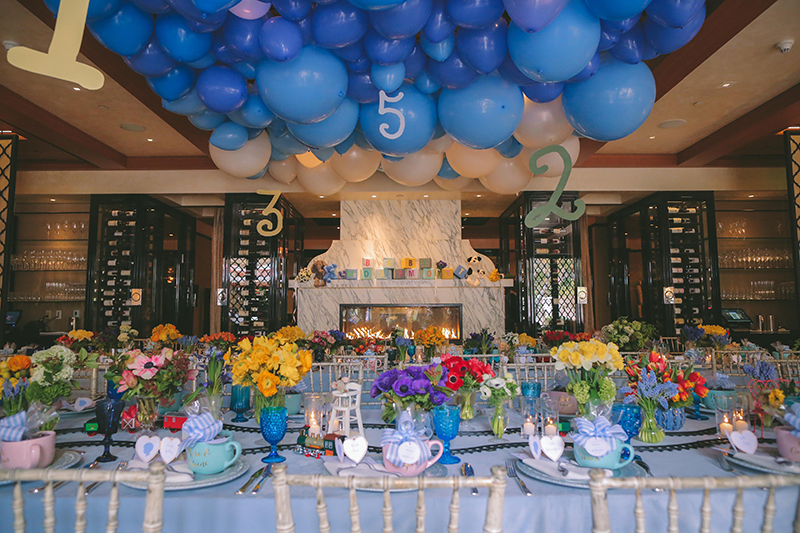 Below the ceiling full of balloons, we created a colorful world of flowers and finds. 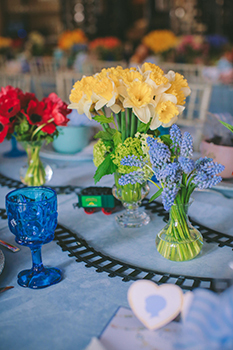 We wove gifts, colored glass, florals and candles around a tabletop train track that was a huge hit. 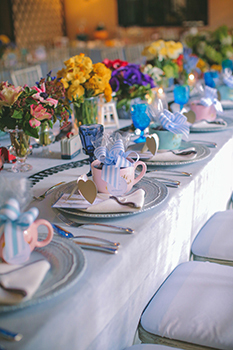 Tea themed party favors adorned the place settings, alternating in pink and blue colors. 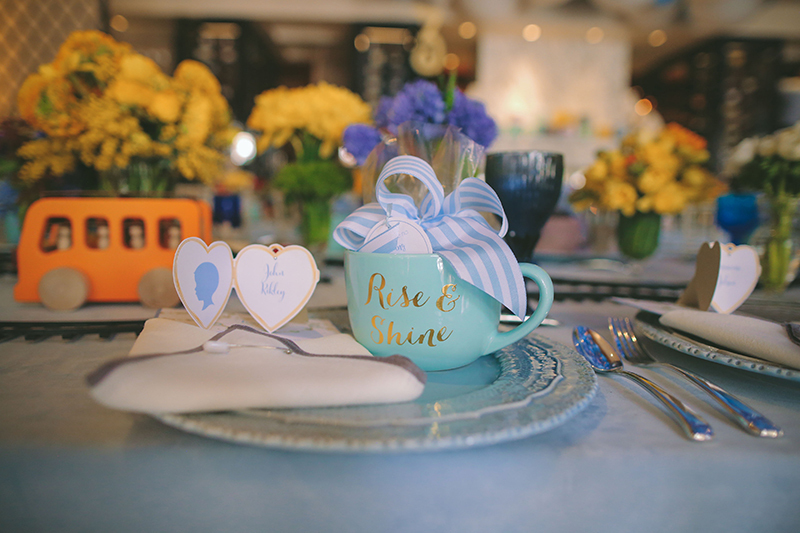 Throughout the decor we placed small gifts, toys and treats for the baby-to-come. 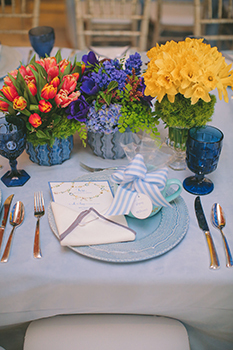 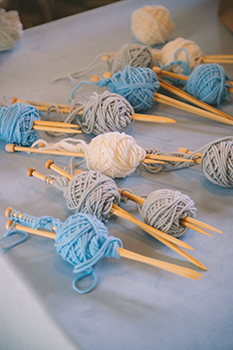 Anytime you can repurpose decor for later in the event or back at home, it’s a win! 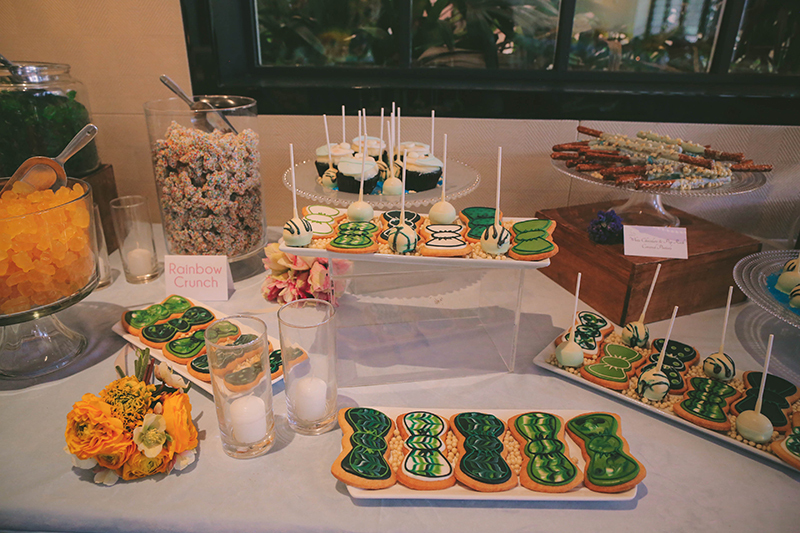 In this case, the more goodies for the family after the event, the better. 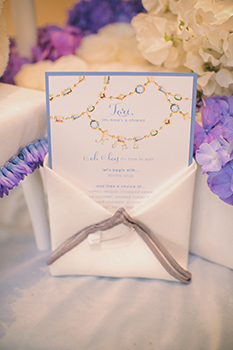 The napkin treatments were shaped like cloth diapers, complete with a diaper pin sealing the menu inside. 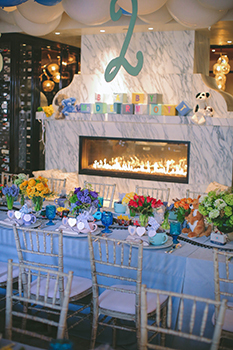 For dessert, we invited guests to partake in a delicious sweets bar complete with custom cookies representing the growing family and baby on board. 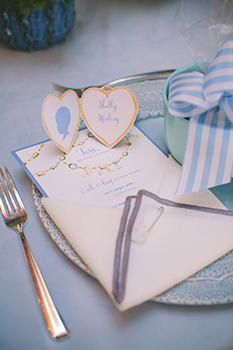 It was certainly a sweet ending to a fun-filled day. 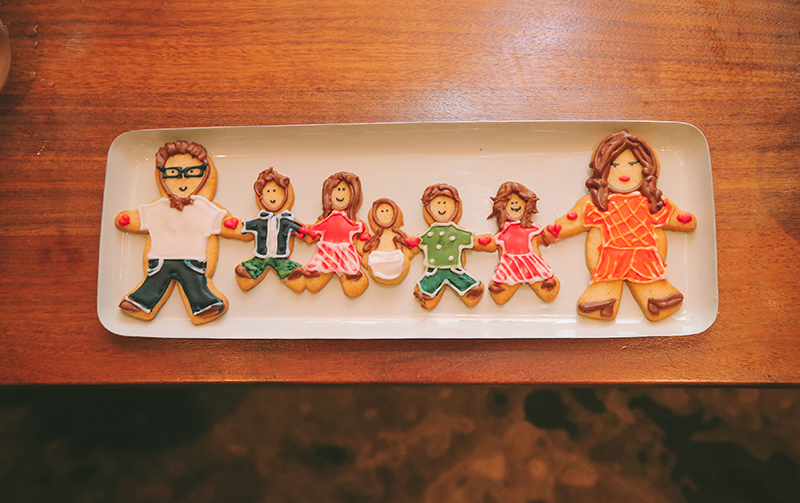 I wish the growing family continued love, good health and happiness! 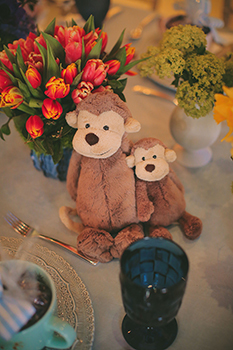 Congratulations on baby #5! 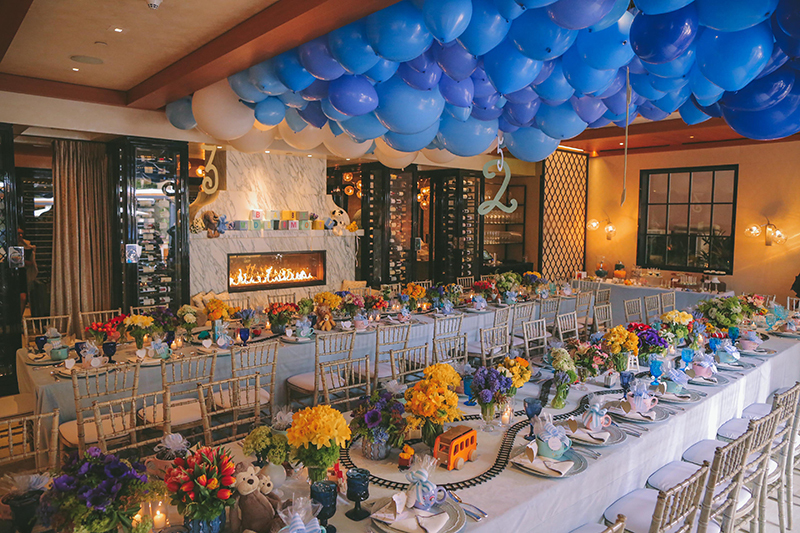 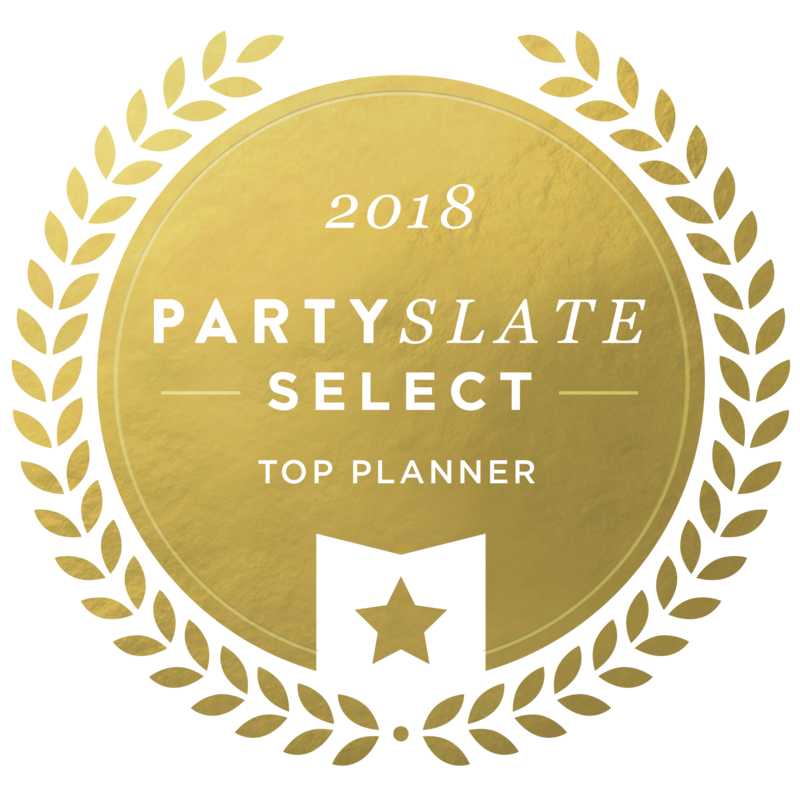 Photography: Dennis Kwan, Balloons: Balloon Celebrations, Linens: La Tavola, Party Planner: Mindy Weiss Party Consultants, Rental: Town and Country Event Rentals, Flowers: Mark’s Garden, Venue: Hotel Bel Air.